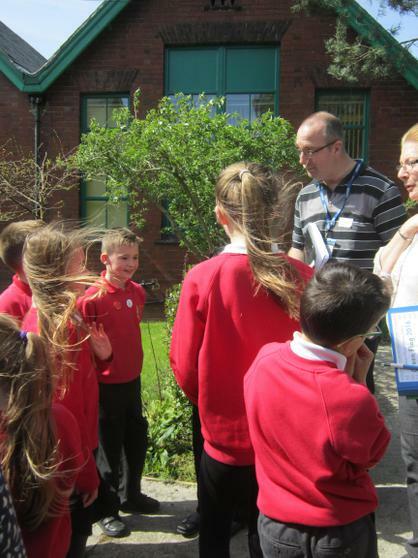 "Well done Newburn Manor Primary School! It is clear to see as well as students being well informed all the school staff were inspirational and clear in the direction the school is progressing regarding education for sustainable development as I witnessed at a whole school assembly presentation and had the pleasure of speaking to many staff and children. 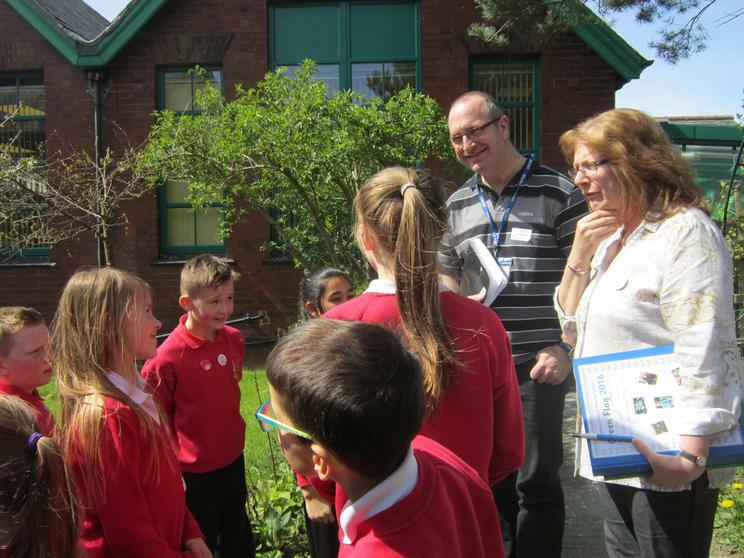 Mrs Dooley (Eco-Schools Co-ordinator/Y4 Teacher), Mrs Peters (Teaching Assistant), Mr W Leiper (Caretaker) and Mrs Jos Forester-Melville for their drive and enthusiasm in supporting sustainable development at the school. 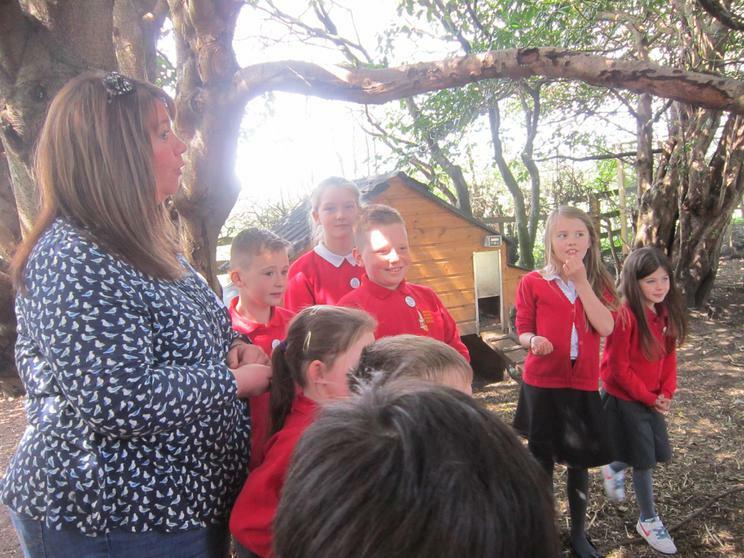 Mrs M J McFadyen (Head Teacher) for showing great leadership regarding sustainable development at the school. 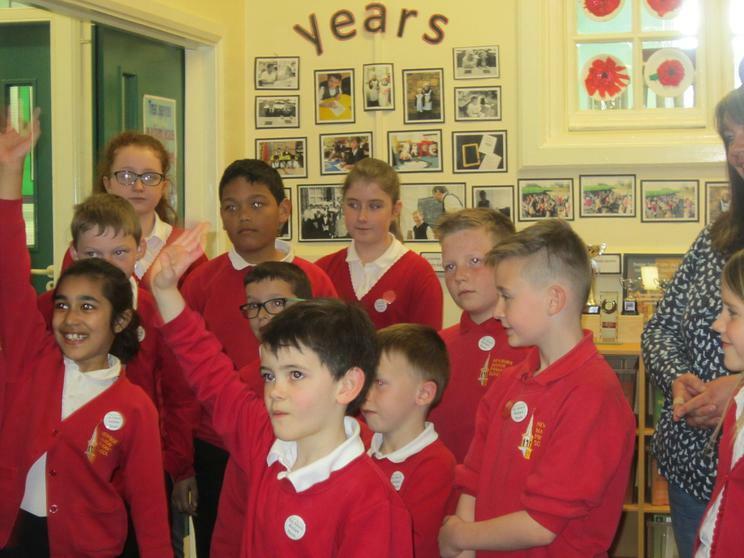 Last but certainly not least I would very much like to thank ALL the school council members who accompanied me around the school tour as their knowledge base was fantastic. 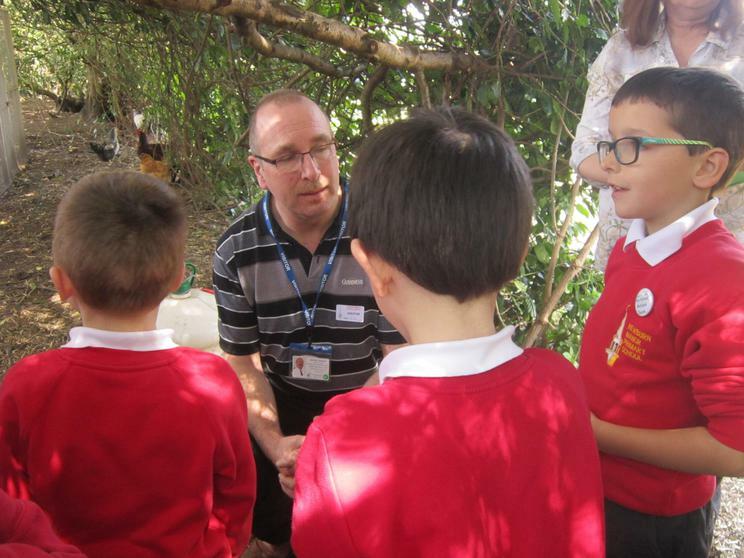 I am sure they will all continue to be sustainability ambassadors throughout their educational life. Keep up the good work!" 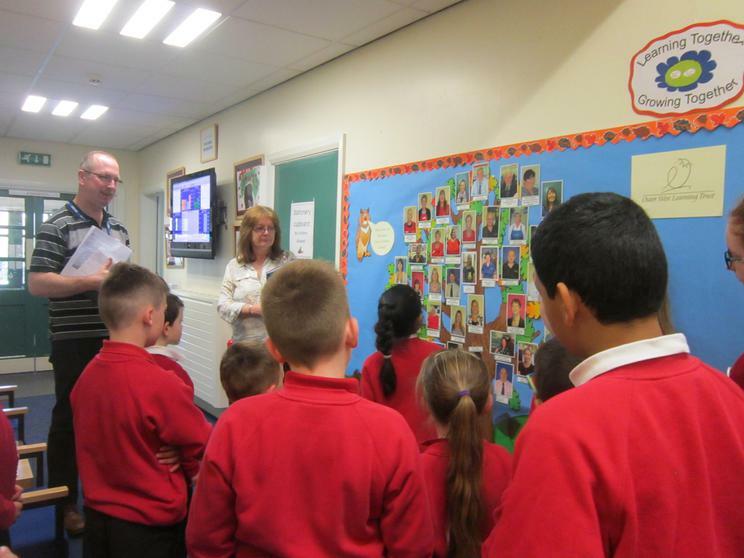 Our children participate through our broad and balanced curriculum delivered within their year groups, in weekly 'Family' (across key stage) sessions and in whole school assemblies. 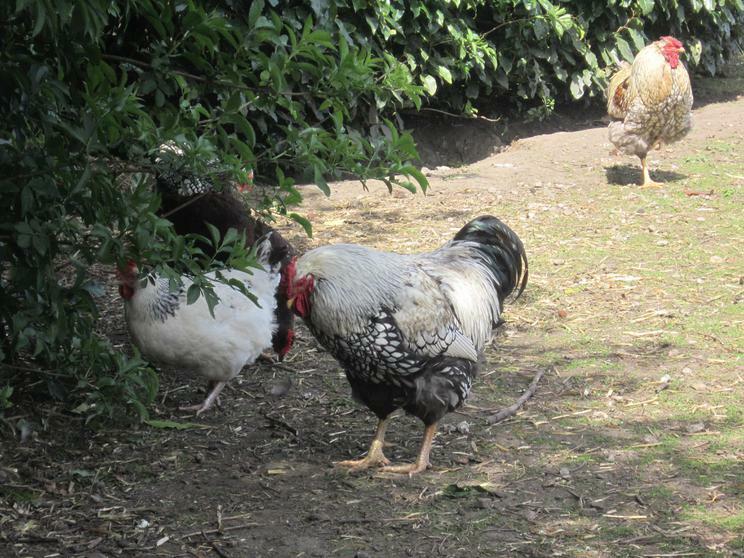 We all love to get out and about on visits to interesting places locally and further afield. 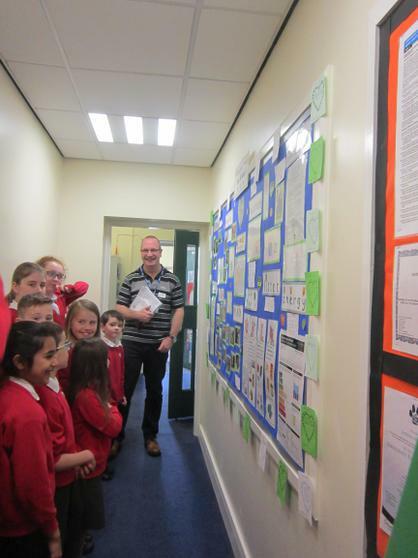 Despite most of our school being built in 1890, we have taken a number of measures to improve its energy efficiency. In 2013, the roof was replaced to include modern insulation (with 'bat-friendly' access!). All radiators have thermostats, windows are double-glazed and outer doors are self-closing to keep the heat in the building. Some classrooms are quite dark, especially during the winter months, however, we switch the lights off when the room is not in use. We use technology to help us to learn but we switch computers and projectors off when not being used and disconnect the electricity supply when iPads or cameras are fully charged. 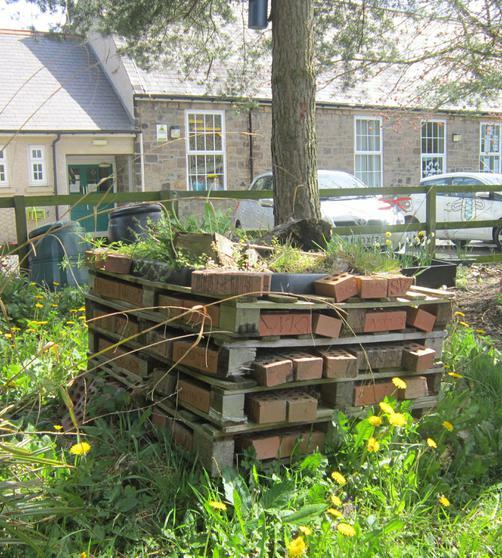 We are proud to keep our schoolyard, field and wild and cultivated gardens litter-free! We try to reduce waste where we can (please see our Green Procurement Policy below). We reuse packaging for model making in D & T and newspaper to protect tables in Art. We recycle the peel, cores and waste from the School Fruit and Vegetable Scheme to make compost for our cultivated garden. All of our hand-basin and water fountain taps are self-stopping so we don't waste water. We bring water bottles to school as we know that being hydrated helps us to learn and we get thirsty doing exercise in PE and when the weather is warm! Many of our children who live locally walk to school and we have racks for those who wish to secure their bikes or scooters. 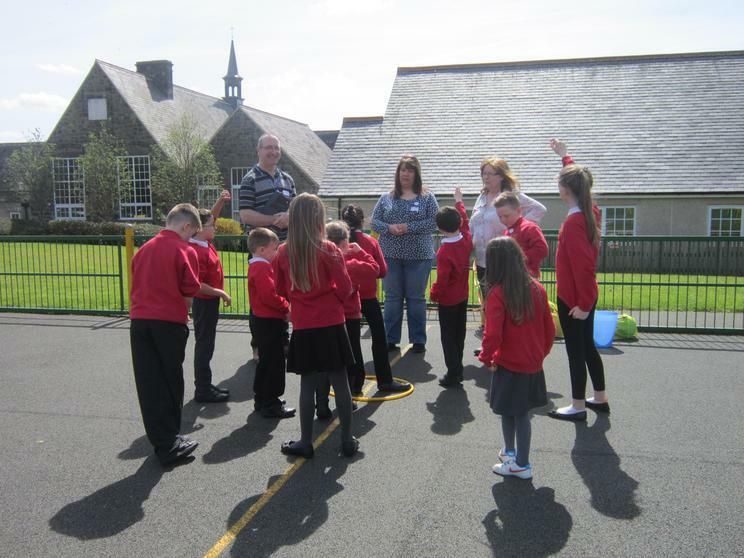 Newcastle City Council helps us by delivering pedestrian and cycle safety awareness training. Parents and carers are respectfully reminded to consider local residents when parking near school. Our school is proud to have been awarded Healthy School status. 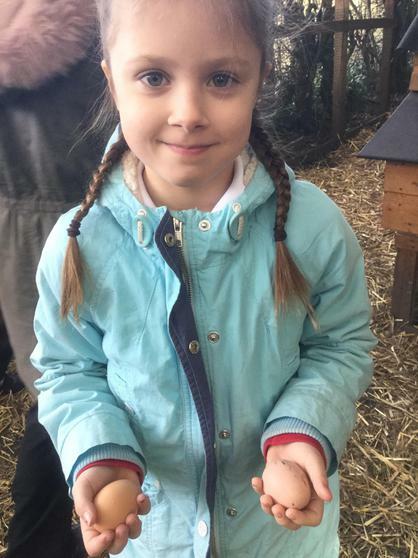 The School Fruit and Vegetable Scheme (SFVS) provides a healthy snack at playtime and helps the children achieve 5 A DAY (and any peel, cores and waste is recycled to make compost for our cultivated garden!). Healthy well-balanced meals are provided at the start to the day by our Breakfast Club and at lunch-time by staff in our on-site kitchen. 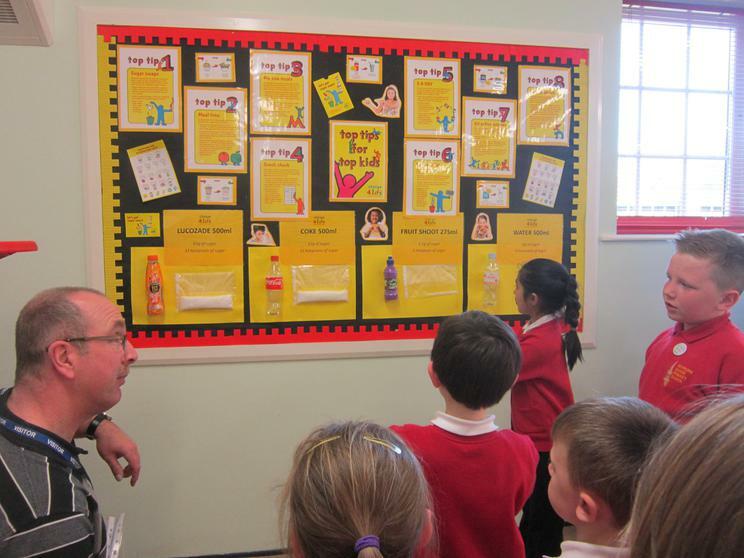 The teaching assistants prepare a healthy tuck shop every month. take part in a Healthy Active Lifestyle event, such as the Newcastle PESS SLA Dance Festival at Newcastle City Hall. Premier Sport coaches and the PALs (Play Activity Leaders) encourage all children to be physically active at playtime with lots of games ideas with a variety of equipment. We even follow the Take10 Aerobics routines when it is too rainy to go outside. 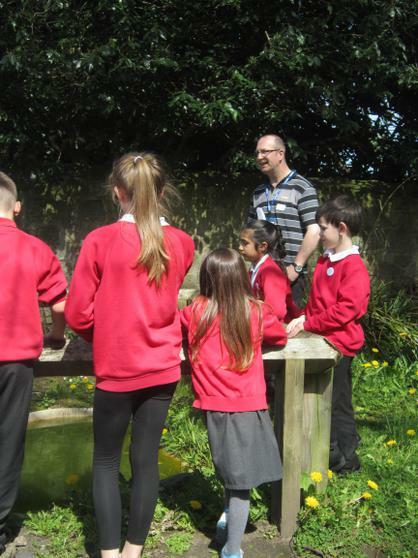 Our wildlife garden provides wonderful habitats, including a pond, a 'bug' hotel and mature trees. 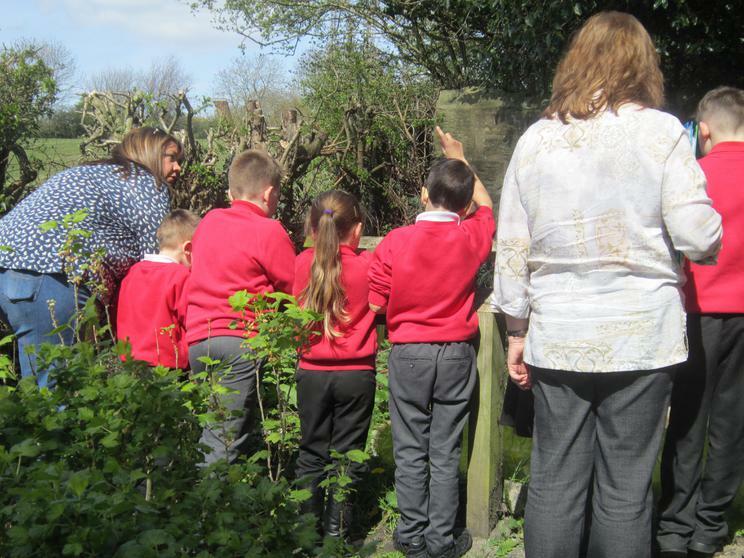 Year 4 have a 'bird hide' where they can observe and identify birds from their classroom window. 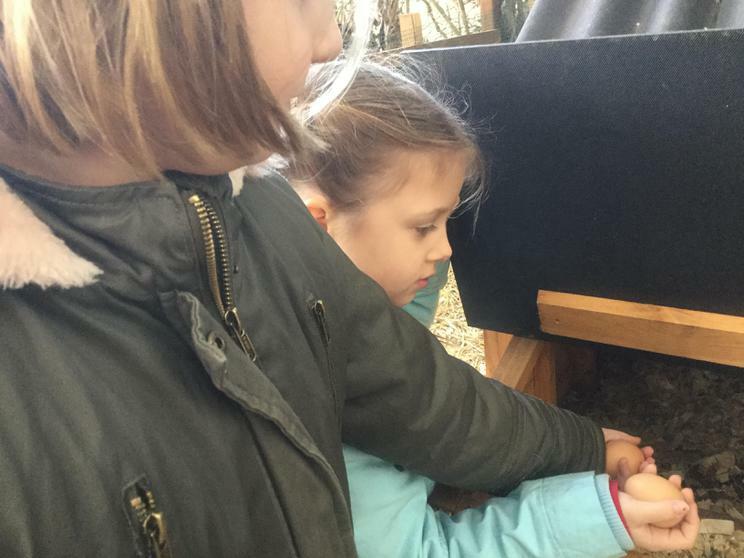 Children set seeds during the spring to plant out when the weather is warmer in raised beds in our cultivated garden. 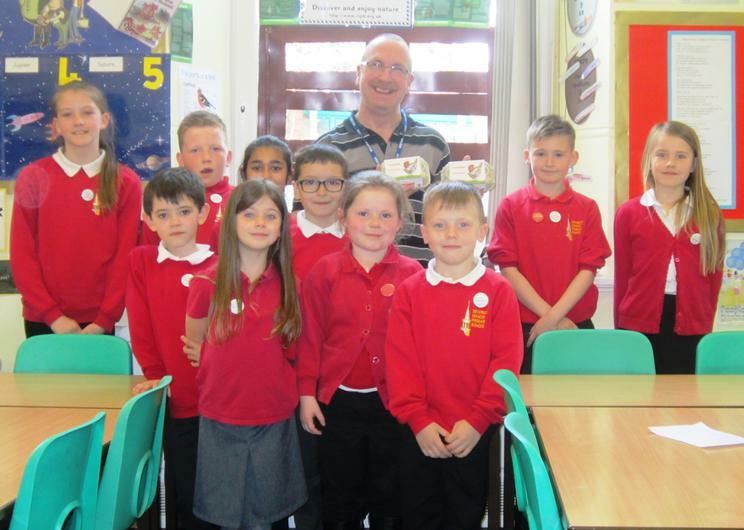 As we a part of the OWL Trust, we loved our visit from the owls (and a vulture) that Ray brought from the Kielder Water Birds of Prey Centre. 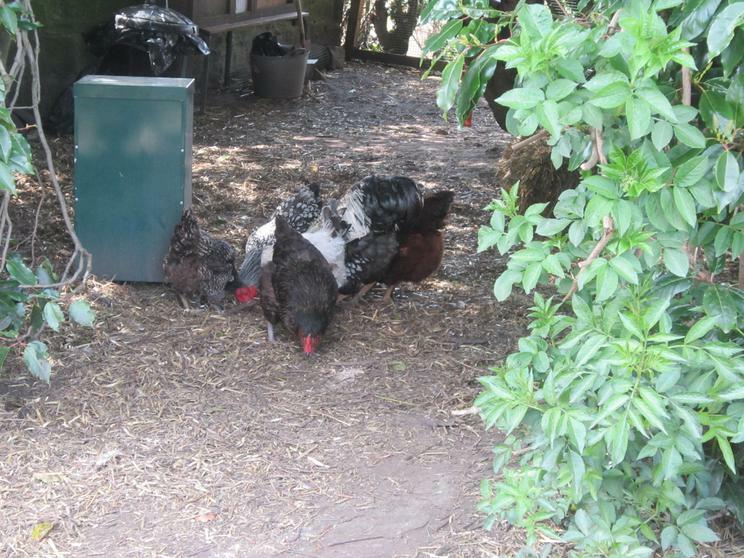 Since being awarded our first Green Flag, we have acquired our chickens. 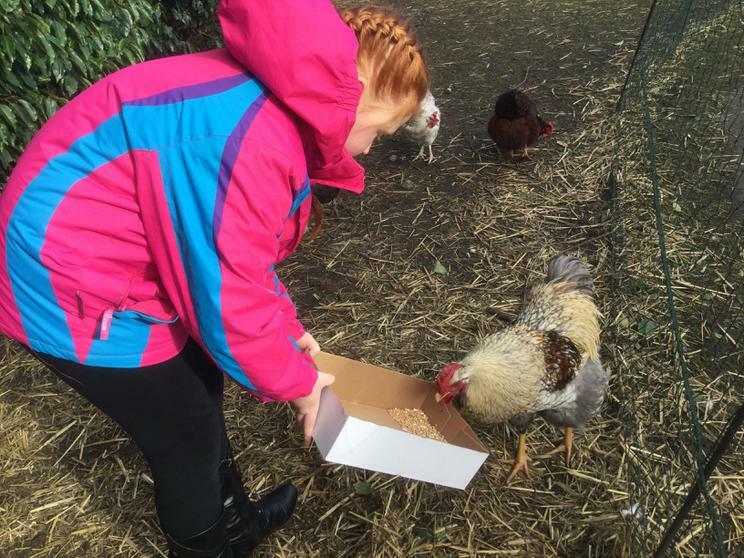 The HenPals help Mrs Heslop to feed them and collect their eggs and we love it when we spend an 'egg'citing time with the HenPower Hensioners! 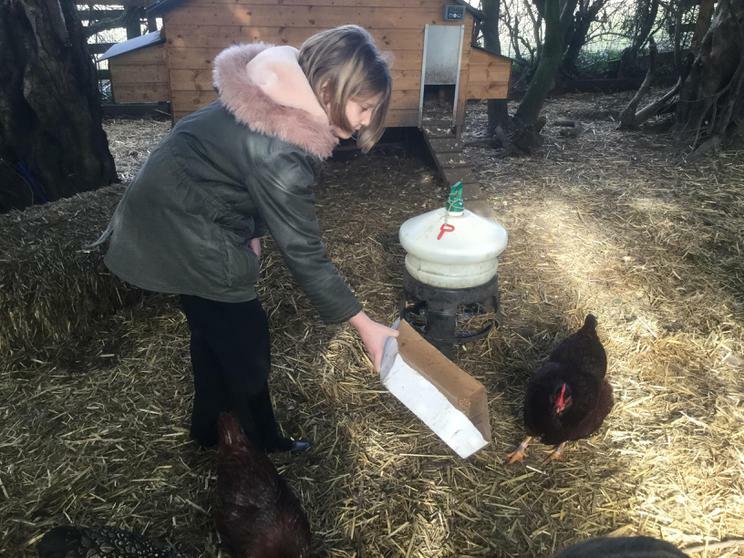 To celebrate a busy year here at Equal Arts, we've teamed up with residents, care staff, children and the Hensioners for our very own festive hen hit. 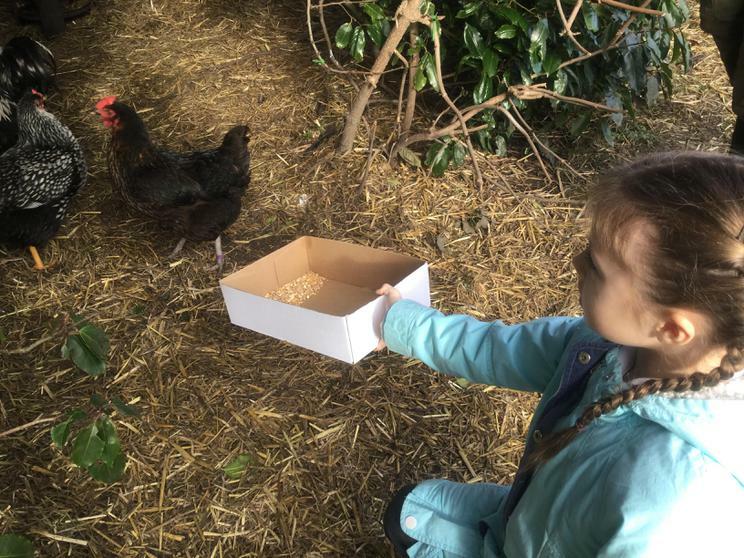 Now in more than 40 care homes, HenPower creatively hengages older people in arts activities and hen-keeping to promote health and wellbeing and reduce loneliness. 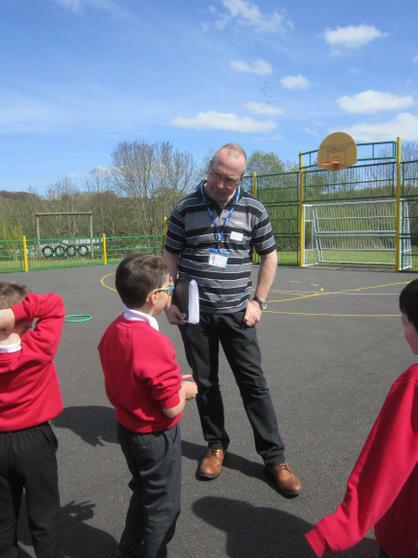 We are lucky to have R/KS1 and KS2 yards in front of the school and a large field with a MUGA (Multi-Use Games Area) and Trim Trail behind it. 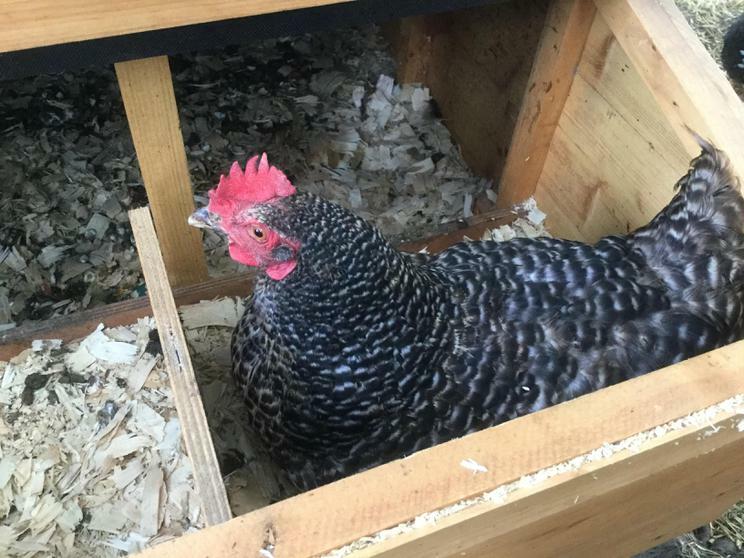 Our chickens have a cosy coop and enclosed run but sometimes are free to roam. 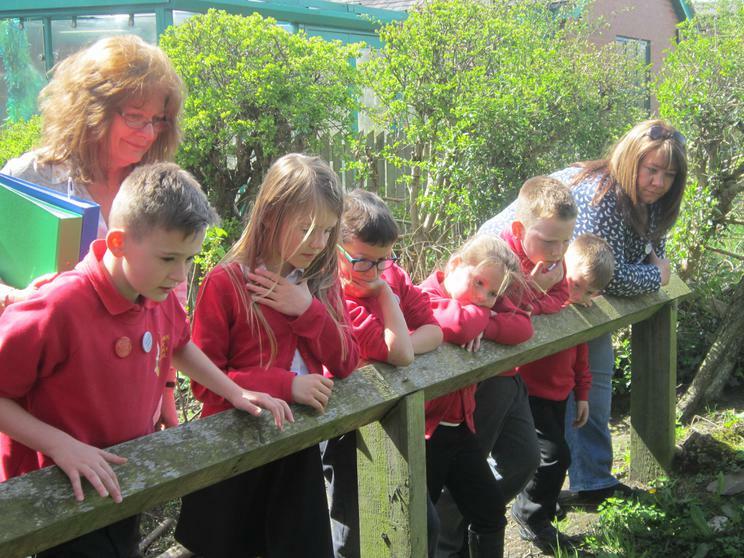 Our wildlife area and cultivated garden with raised beds are next to the school. The New Burn flows through Walbottle Dene near the school and something of the history and heritage of the area is explained on the walk map below, although some of the information may not be up to date. Groundwork's Heritage Lottery funded project, Waggonways and Waterways, began in September 2012, with the aim of working with the community in both South Tyneside and Newcastle to identify forgotten routes or waggonways - once an integral part of the mining industry across the north east of England. 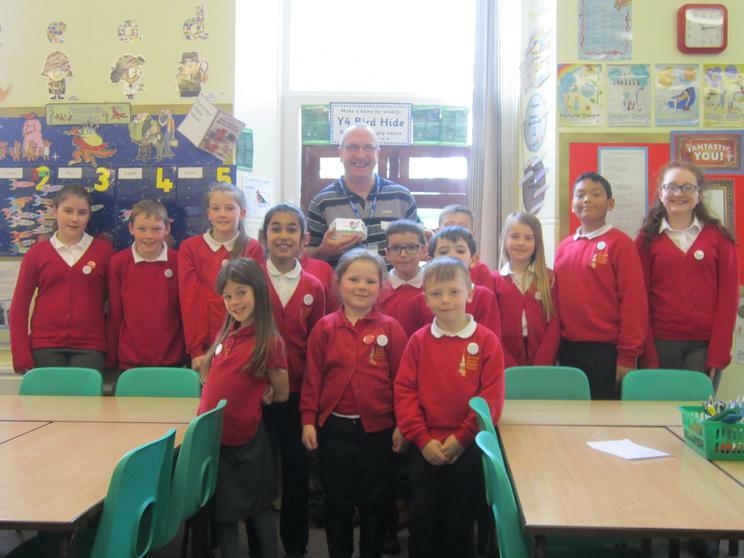 As part of this project, children at Newburn Manor Primary School designed a waymarker to map out the route of an industrial heritage walk around Lemington, Wylam and Walbottle. They also played a part in helping to produce an audio track, featuring local historian, John Grundy, designed to guide walkers along this waggonway route, bringing to life the journey the coal used to take from the collieries down to the banks of the Tyne. 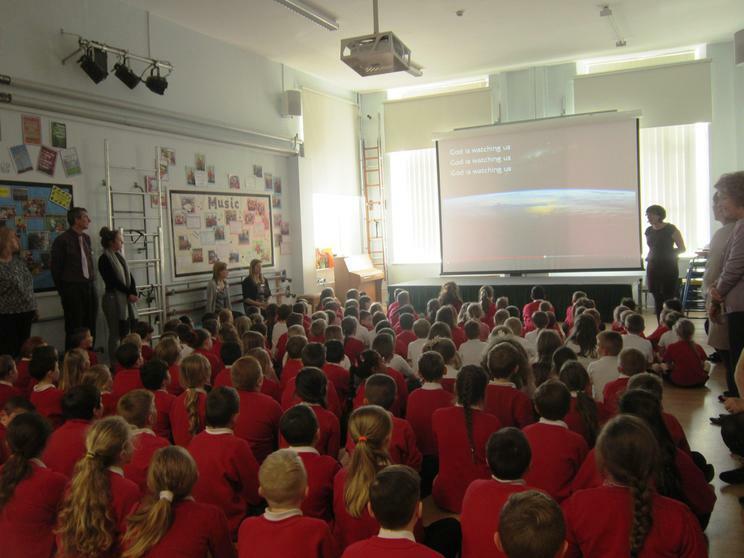 Through our curriculum work, for example, in Science and Geography, and in 'Family' groups and assemblies, we raise awareness of how our actions locally may affect people and the environment globally. 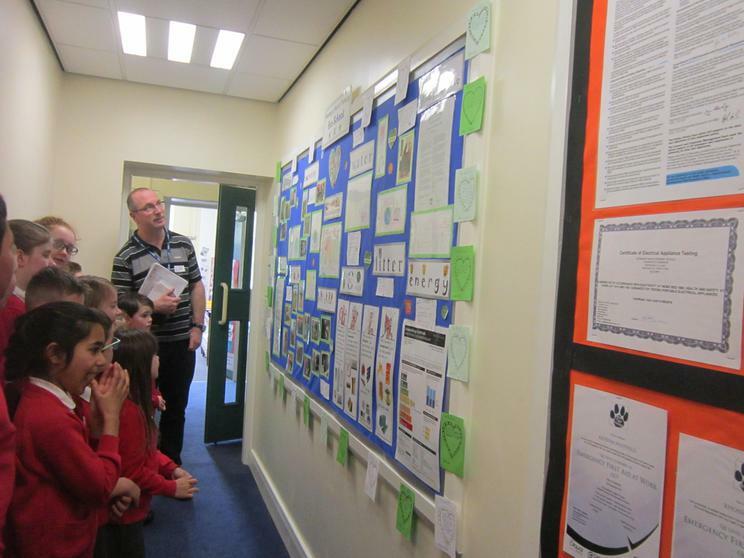 We support this work using materials from many organisations, for example, Go Givers, UN, Oxfam and Fairtrade. In this short film, Pablo the Super-Banana explains what Fairtrade is and how it can help banana farmers in Colombia. This film is suitable for children up to seven years of age. 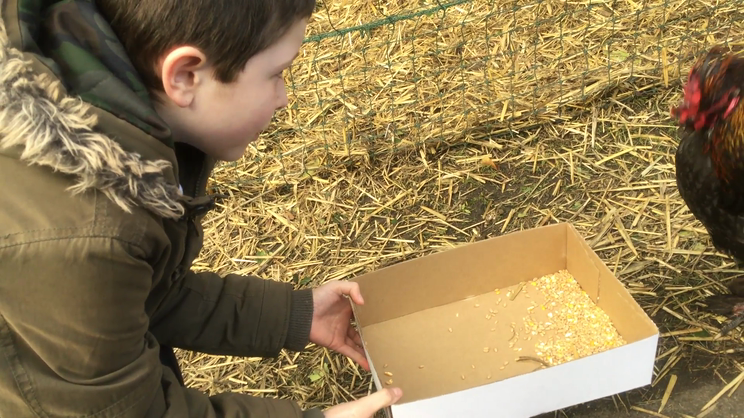 Our school has a Green Procurement Policy and the Business Manager and the Caretaker ensure that we buy products and services which have a minimal impact on the environment.